Lahore: Following the footprints of Turkey, the Punjab government has finally kicked off the first ever “Motorcycle Ambulance Service” in South Asia; this was announced by the Chief Minister Punjab Mian Shahbaz Sharif in Lahore while addressing a gathering. Initially, the project has started from the provincial head quarter, Lahore, as a pilot project with four hundred fully trained Rescuers equipped with the latest life-saving emergency kits on two hundred motorcycles. Later, it is planned for expansion through all the nine divisional head quarters of the province including Multan, DG Khan, Faisalabad, Rawalpindi, Sargodha, Sahiwal, and Gujranwala, Bahawalpur etc. The founder Director General of Punjab Emergency Services Rescue 1122, Dr Rizwan, completed the project in a record 7-month period. While talking to Truth Tracker he claimed that before the launch of proper ambulance services a decade ago, around 95 percent people lost their lives due to the unavailability of ambulances as they could not be transferred to hospitals in case of emergencies. “But now we are so proud that from the start of this services, The Rescuers saved 5 million people while maintaining the average response time of seven minutes in all 36 districts of Punjab, Dr Naseer added. Lahore is the second largest city of the country where most of the times, owing to multiple reasons of traffic congestion and narrow areas, it is quite difficult for ambulances or rescuers to reach the emergency spot in time and provide first aid. Keeping in view these challenges and observing the Turkish model, the Government of Punjab quickly followed suit. Pivotal to this was Chief minster Punjab Shahbaz Sharif’s visit to Turkey, some seven months ago where he ordered the replication of their model to assist local emergencies. Dr Rizwan said that the initial total budget of the project is around Rs 150 million including about Rs 56 million for bikes purchasing, Rs 12 million for upgrading of control room and remaining Rs 70 million amount for the emergency life saving rescue kits. Further talking about the operations of the newly established Motorcycle Ambulance Service, the Director General said, “We have established around 50 points in the city where the motorcycle ambulance rescuers will remain present from 7 am in the morning to 11 pm midnight in two shifts, as this is the critical duration as far as the emergencies are concerned, Dr Rizwan stated. 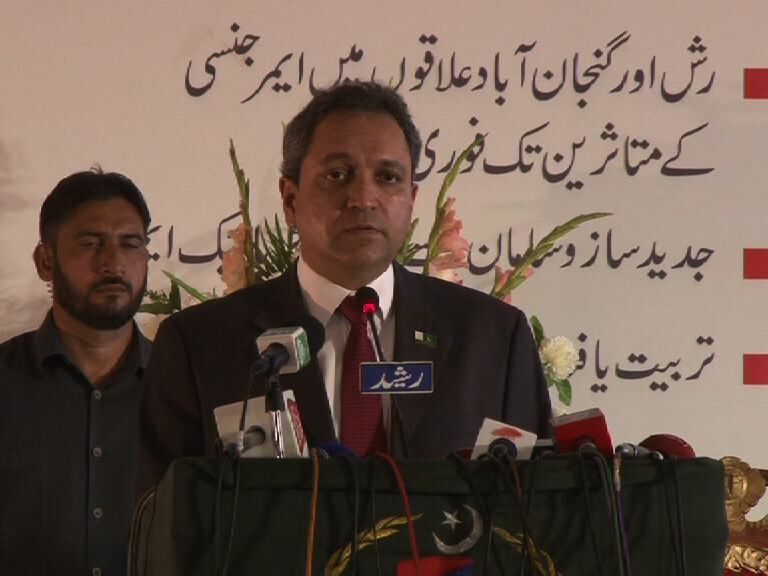 The provincial health minister Khawaja Imran Nazir while talking to Truth Tracker said that the initial master trainers for motorcycle ambulance services got their trainings from Turkey. “Now it’s a story of past that first-aid could not be provided in narrow streets especially of wall street area of Lahore or during traffic jams. Equipped with latest first-aid kits, these motorcycle ambulances will be able to reach everywhere in the hour of need and will try to save human life at any cost,” Khawaja was optimistic. Earlier the chief minster Punjab Mian Shahbaz Sharif while inaugurating the Rapid emergency service of motorcycle ambulance claimed that within two months time this service will cover all 36 districts of Punjab as he is focusing on this slogan “Health care at the door step”. Muhammad Mudassar, a newly appointed Rescuer of Motorcycle ambulance service is excited on the launch of this project, “due to traffic mess, in most of the cases the ambulances could not reach early, so we would be there to provide initial first aid and if needed then we will call ambulance to shift patient in hospital, we are hoping to fulfill people’s expectations from us, Muhammad concluded. Another Rescuer from this service Shahid said that he was already trained but now he got special training for six months especially on how to act during road traffic accidents and medical emergencies. “We have life-saving kits, oxygen cylinder, gluco-meters and other equipment, which we can use to provide first aid on the spot and we are so determined to serve humanity,” he concluded. The DG Rescue 1122 Dr Rizwan also appealed to the citizens to call ambulance in case of real emergencies only. “95 per cent of the calls are irrelevant and wastage of time and resources, while acting as responsible citizens if we stop calling 1122 for fun, we could save a life as ambulance can rush to the real emergency spot, Dr Naseer concluded.